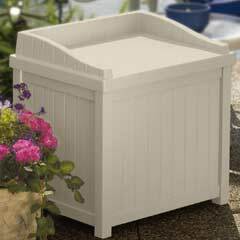 This Greenfingers Storage Bench provides a wonderful storage solution for your garden as it makes an attractive addition and is ideal for keeping items neatly out of sight. 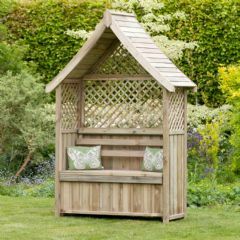 Combining functionality with practicality, this bench comfortably seats two and the lid lifts to reveal plenty of storage for all your garden essentials, including storing logs and toys. Manufactured from high quality Fir making this storage chest both robust and durable, it is advisable to treat the wood with a good quality preservative to ensure that it lasts for many years. Please note: All Greenfingers Garden Furniture arrives flat-packed and will require some assembly. 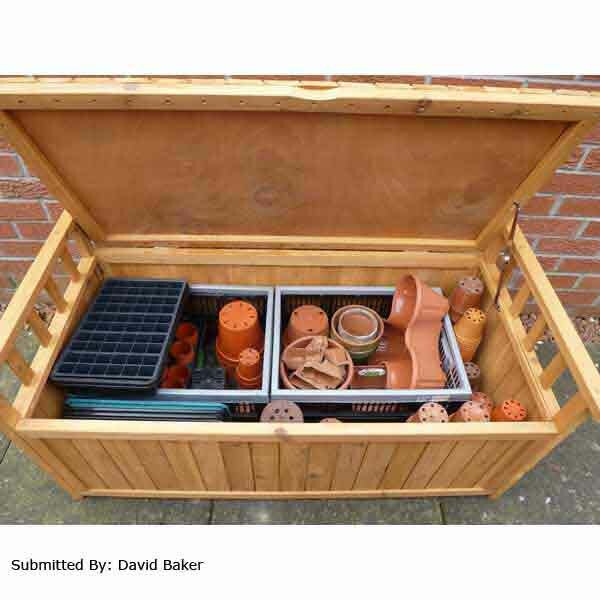 Very good product,just the job for our patio where storage is very limited. The parcel came in plenty of time. I am unable to comment more as it is a present for someone so hope it's good. 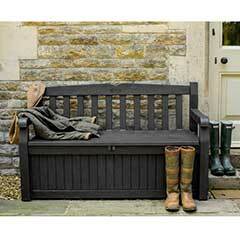 Having looked online at various websites for a storage bench for our conservatory we found this one. The price was very good and arrived within a few days, with excellent tracking by the delivery company. The bench took 2 of us just a few minutes to put together. 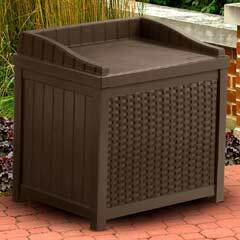 It is very strong and sturdy with a large storage space inside. We've put a throw and couple of cushions on top to make it an excellent place to sit, while it hides all the bits and bobs which used to clutter our conservatory! Would definitely recommend if you want a good quality bench. Absolutely loved this product. Looks great in the garden for our residents. Also purchased the cushions and covers so it should keep well. Very pleased with this storage bench. Really sturdy (had two people sitting on it at a BBQ) and nice looking piece of furniture. Also plenty of space for storing stuff. Very spacious,easy to put together storage bench. Item arrived promptly and very well packaged. 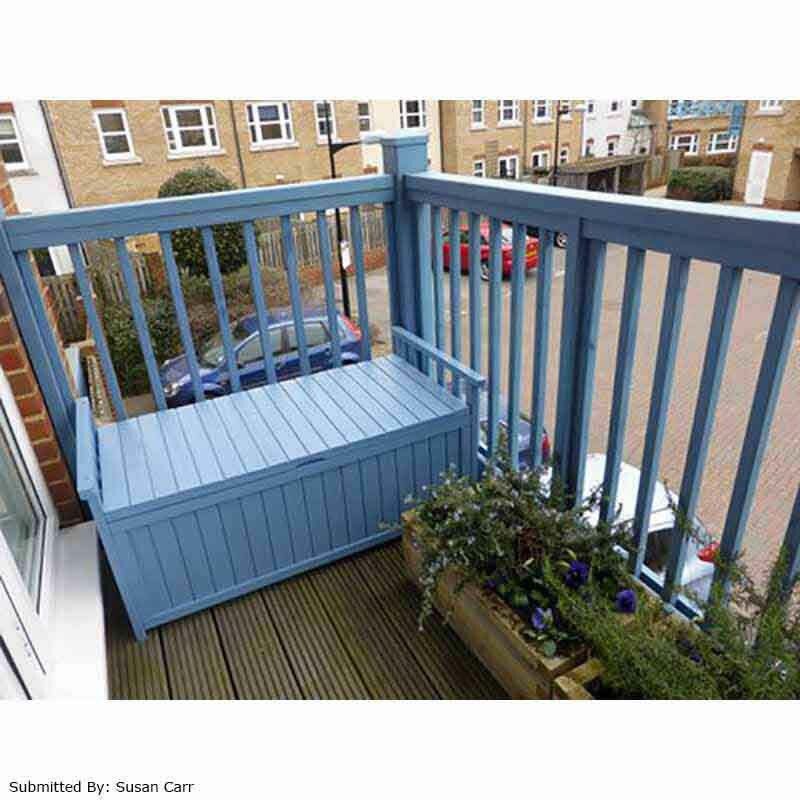 Slotted together well and finished product looks exactly as shown and described in advert. Extremely pleased, excellent product and service from this company....would recommend. A well made and sturdy storage box, which I easily assembled myself. I stained and varnished mine with yacht varnish for the rigours of winter, and it looks great. 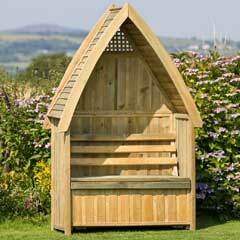 Also useful for extra seating for the grandchildren.